1. Riding on gravel roads is a lot harder than riding on asphalt. After a long stretch on gravel, asphalt is like an oasis in the desert. 2. A downhill almost inevitably leads to an uphill. It's possible to go from 48 km/h on a downhill to 8 km/h on an uphill in less than two minutes. The 48 sure is fun, though. 3. Riding in the rain isn't bad. 4. Farmer's tan from biking is weird. 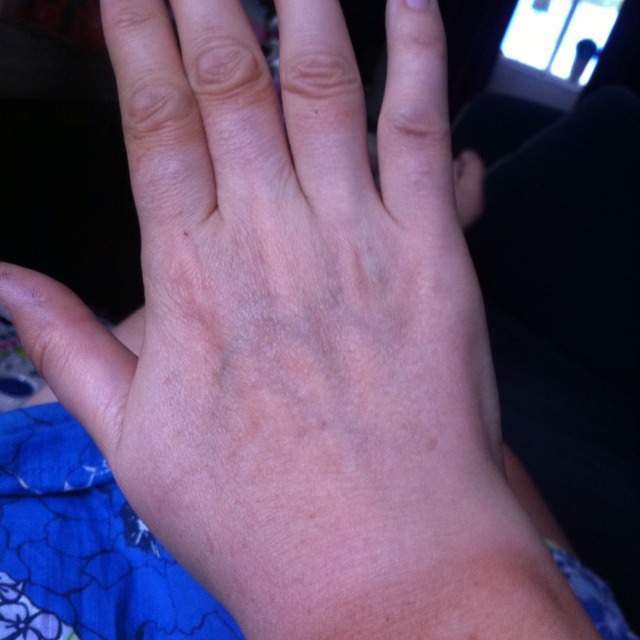 I wear gloves to bike, so my hands are untanned while my arms are tanned. 5. You can see a lot of wildlife while biking. Seen so far: fox, 2 deer, hedgehog, multiple jackrabbits. Not to mention all the slugs, snails, and worms. 6. It seems inevitable that I end up with chain grease on my legs every day.